It turns out that those 30 day email retention policies I have been putting down for years may… actually be the best policy. This may not be a surprise to some of you but the government can access your emails without a warrant by simply providing a statement (or subpoena) that the emails in question are relevant to an on-going federal case – criminal or civil. This disturbing fact is legally justified through the misnamed Electronic Communications Privacy Act of 1986 otherwise known as 18 U.S.C. § 2510-22. The emails must have already been opened. Does Outlook auto-preview affect the state of “being read”? The ECPA (remember it was written in 1986) starts with the premise that any email (electronic communication) stored on a server longer than 180 days had to be junk email and abandoned. In addition, the assumption is that if you opened an email and left it on a “third-party” server for storage you were giving that “third-party” access to your mail and giving up any privacy interest you had which in reality is happening with several well-known email cloud providers (terms and conditions). In 1986 the expectation was that you would download your emails to your local computer and then either delete it or print out a hard copy for record keeping. So the rules put in place in 1986 made sense – unopened email less than 180 days old was still in transit and could be secured by the authorities only with a warrant (see below); opened email or mail stored for longer than 180 days was considered non-private or abandoned so the government could access it with a subpoena (an administrated request) – in effect, simply by asking for it. To get a warrant, investigators must go to a neutral and detached magistrate and swear to facts demonstrating that they have probable cause to conduct the search or seizure. There is probable cause to search when a truthful affidavit establishes that evidence of a crime will be probably be found in the particular place to be searched. Police suspicions or hunches aren’t enough — probable cause must be based on actual facts that would lead a reasonable person to believe that the police will find evidence of a crime. In addition to satisfying the Fourth Amendment’s probable cause requirement, search warrants must satisfy the particularity requirement. This means that in order to get a search warrant, the police have to give the judge details about where they are going to search and what kind of evidence they are searching for. If the judge issues the search warrant, it will only authorize the police to search those particular places for those particular things. Subpoenas are issued under a much lower standard than the probable cause standard used for search warrants. A subpoena can be used so long as there is any reasonable possibility that the materials or testimony sought will produce information relevant to the general subject of the investigation. Subpoenas can be issued in civil or criminal cases and on behalf of government prosecutors or private litigants; often, subpoenas are merely signed by a government employee, a court clerk, or even a private attorney. In contrast, only the government can get a search warrant. With all of the news stories about Edward Snowden and the NSA over the last year, this revelation brings up many questions for those of us in the eDiscovery, email archiving and cloud storage businesses. In future blogs I will discuss these questions and others such as how does this effect “abandoned” email archives. In the last year there has numerous articles, blogs, presentations and panels discussing the legal perils of “Bring Your Own Device” or BYOD policies. BYOD refers to the policy of permitting employees to bring personally owned mobile devices (laptops, tablets, and smart phones) to their workplace, and to use those devices to access privileged company information and applications. The problem with BYOD is company access to company data housed on the device. For example, how would you search for potentially relevant content on a smartphone if the employee wasn’t immediately available or refused to give the company access to it? Many organizations have banned BYOD as a security risk as well as a liability when involved with litigation. Organizations are now dealing with another problem, one with even greater liabilities. “Bring your own cloud” or BYOC refers to the availability and use by individuals of free cloud storage space available from companies like Microsoft, Google, Apple, Dropbox, and Box.net. These services provide specific amounts of cloud storage space for free. The advantage to users for these services is the ability to move and store work files that are immediately available to you from anywhere; home or while they’re traveling. This means employees no longer have to copy files to a USB stick or worse, email work files as an attachment to their personal email account. The disadvantage of these services are that corporate information can easily migrate away from the organization with no indication they were ever copied or moved – otherwise known as “underground archiving”. This also means that potentially responsive information is not protected from deletion or available for review during eDiscovery. Stopping employee access to outside public clouds is a tough goal and may negatively affect employee productivity unless the organization offers something as good that they can manage and access as well. For example several companies I have talked to over the last year have begun offering Dropbox accounts to employees with the understanding that the company has access to for compliance, eDiscovery or security reasons all the while providing the employee the advantages of a cloud account. The other capability organizations should research about these cloud offerings is their ability to respond to legal hold and eDiscovery search. Questions to consider include: Does the organization have the ability to search across all company owned accounts for specific content? What type of search do they offer; Keyword, concept? Can the organization view the contents of documents without changing the document metadata? Can the organization place to “stop” on deletions by employees at any time? Organizations need to be aware of and adapt to these cloud services and be thorough in addressing them. Be aware these types of cloud storage services exist for your employees. Think about offering these cloud services to employees under the organization’s control. Create a use policy addressing these services. Either forbid employees from setting up and using these services from any work location and company owned equipment or if allowed be sure employees acknowledge these accounts can and will be subject to eDiscovery search. Train the employees on the policy. Understand that if you setup and use these services from employer locations, equipment and with company ESI, all content in that account could be subject to eDiscovery review, personal or company related. If you use these services for work, only use them with company content, not personal files. These cloud services are an obvious productivity tool for employees to utilize to make their lives easier as well as more productive. 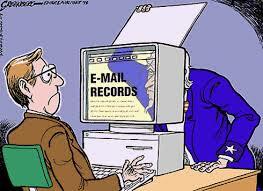 All involved need to be aware of the eDiscovery implications. In a recent blog posting titled “The coming collision of “free to the public cloud storage” and eDiscovery”. I mentioned some of the potential gotchas involved in storing your ESI with these cloud services. One of the cloud storage services I named was the Dropbox service. On Friday the Dropbox cloud storage start-up announced changes to its policies, claiming it had rights to your data stored on its service. This message obviously started a major reaction so the company has revisited its terms again, being forced to update its blog twice in order to try and calm the storm surrounding its policy. You retain ownership to your stuff. You are also solely responsible for your conduct, the content of your files and folders, and your communications with others while using the Services. We sometimes need your permission to do what you ask us to do with your stuff (for example, hosting, making public, or sharing your files). By submitting your stuff to the Services, you grant us (and those we work with to provide the Services) worldwide, non-exclusive, royalty-free, sublicenseable rights to use, copy, distribute, prepare derivative works (such as translations or format conversions) of, perform, or publicly display that stuff to the extent reasonably necessary for the Service. This license is solely to enable us to technically administer, display, and operate the Services. You must ensure you have the rights you need to grant us that permission. One of the main reasons we updated our terms of service was to make them easier to read and understand. It seems we’ve mostly accomplished that, which we’re thrilled about. Some of you have written us with very understandable concerns about the legal-sounding parts. In particular, our new TOS talks about the licenses we need to run Dropbox. We want to be 100% clear that you own what you put in your Dropbox. We don’t own your stuff. And the license you give us is really limited. It only allows us to provide the service to you. Nothing else. We think it’s really important that you understand the license. It’s about the permissions you give us to run the service, things like creating public links when you ask us to, allowing you to collaborate with colleagues in shared folders, generating web previews or thumbnails of your files, encrypting files, creating backups… the basic things that make Dropbox safe and easy to use. Services like Google Docs and others do the same thing when they get these permissions (see, for example, section 11.1 of Google’s TOS). We want to thank everybody who wrote in, understanding your concerns helps us make Dropbox better. It looks to me that they made a decent and honest attempt to come back from a really unsettling policy change. The main point here is that you have to understand the policies which manage your data on these services. One practice I employ when using these services is to encrypt the data I upload to these services using applications such as TrueCrypt or PGP (see my blog on this topic). 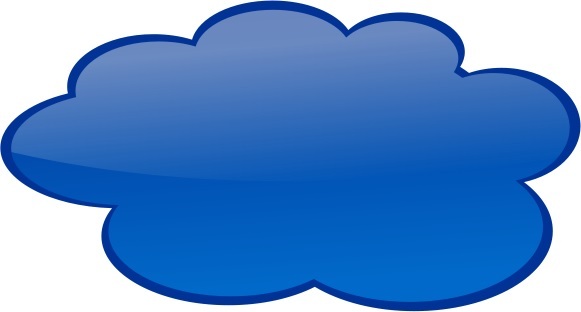 This practice does remove some of the capabilities such as indexing for search on the cloud service but the main reason I utilize these cloud storage offerings is to to be able to access my data anywhere from any computer.